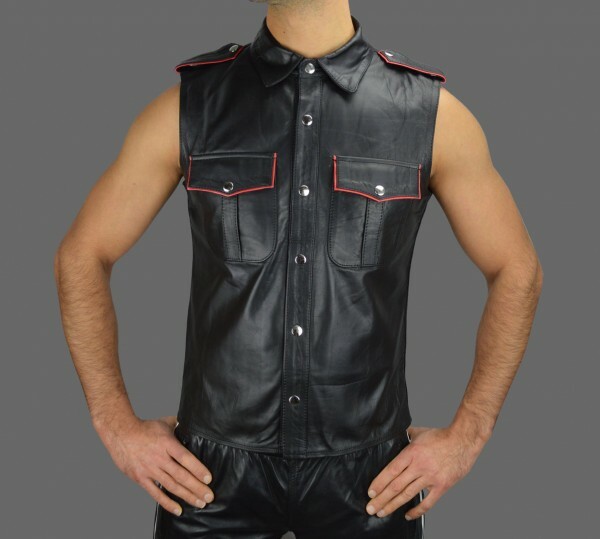 Dominion leather shirt and it is made out of premium genuine leather in your choice of seven colours and has a two-tone look with contrast piping on its shoulder epaulettes and the flaps of its pair of chest pockets. Whether you layer it over an oxford or tee or style it on its own, the leather shirt with piping will put an edgy finishing touch on any outfit. 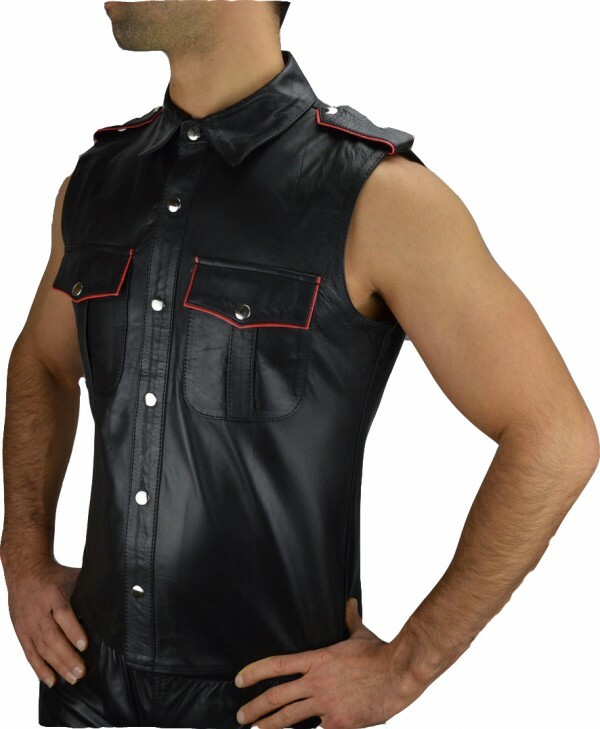 Dominion leather shirt and it is made out of premium genuine leather in your choice of seven colours and has a two-tone look with contrast piping on its shoulder epaulettes and the flaps of its pair of chest pockets. You can choose from yellow, white, red or blue piping when you place your order. 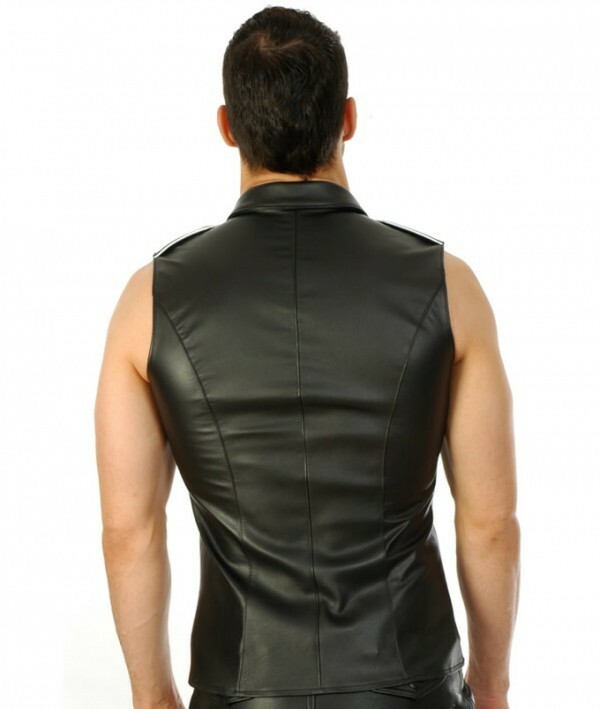 Complete with a fold-down collar with triangular lapels, this vest snaps up the front, so you can do it up all the way, wear it open or show off a little of your chest or shirt underneath. Each of these sleeveless shirts is made to measure to guarantee an optimal fit. My boyfriend loved it. It fit him perfectly. I love your company.Good quality good price. Nice leather for the price....comfortable and stylish.Just what I was looking for. It is a good Value.Great buy, good quality.